In 1992 PhoneVoter began senting out Propsals for Campaigns on Satellite (COS) as well as shows which could be modified for each of 64of the declared candidates. There was no list of where these were all located or for their contact information so these details had to be researched. All of these materials, which include COS came with Interactive PhoneVoter capability, with voting numbers with AGREE & DISAGREE at the bottom of the screen for each of the separate shows offered. 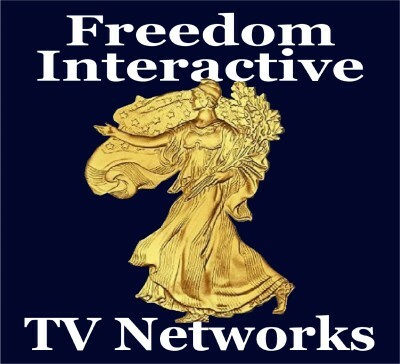 These included in 1992 All Presidential Candidates Debate Tournament, Unedited Presidential Candidates Speeches , Liberty Rings , Melanin Brothers & Sisters and Global Television With World Leaders , were sent via FAX. Ron Fink, who purchased Athena Graphics in late 1991, moved the operation to another location. Fink did so because he had a bad back and needed to lay flat to type. The new location had room for Ron and his son, Hans, to sleep as well. The new location, where the 1992 work for PhoneVoter took place, was on Otis Street in Santa Ana CA. Ron Fink made a Fax machine from a copy machine, putting in a couple of hundred dollars. The materials were cranked out on the typesetting machinery which had belonged to Larry Samuels, a well-known libertarian now living in Carmel Valley. Fink, father and son, Hans, Larry Samuels and Howard Hinman were all there and are very willing to talk about their activities in support of PhoneVoter. Samuel E. Konkin, III answered the phone when the Clinton Campaign first responded to the COS offer. Two men were on the phone. These same two men were on the phone each time they called. They identified themselves as 'Charles Marcus' and Frank Greer. Greer said they, himself and 'Marcus', were consultants to the Clinton Campaign. Our research does not identify anyone named Charles Marcus as having worked for the Clinton Campaign but Frank Greer is so identified as being a Media Consultant and identified 'Marcus' as well. The content of their phone calls with Brock d'Avignon provided telling insights into Marcus's true identity. Frank Greer did most of the talking on what could be expected from the use of Satellite after asking about the price, which he stated the campaign could not afford. Brock asked how much money they had. A silence took place on the other end of the line as a consultation took place. Greer said, "We only have $50.000 and a bus. What can we get for that?" Brock said, "Keeping in mind the few million satellite viewers satellite has the ability to reach all the network TV directors and the local news directors. With satellite access you can rain constant feedback down from the sky or, with the amount of money you have, you can tell them at a certain time of the day they can aim their receiver dish at your satellite and pick up images of your guy shaking hands in diners or giving speeches. To make that happen you would have to have a satellite Uplink truck to go along with your bus. I think a satellite uplink truck which can support up to four cameras is about $35,000 a month and you would use the rest of your money to notify news directors of where and when your signal is coming down." Marcus injected, "That wouldn't leave us any money for gas." Brock responded, "Well, if you do what I say millions of people will know you eist and the money will come." As the silence from the other end of the phone went on for a while. Brock then added, "I'm told there is likely only one satellite uplink truck left in America thats available. I'll find out the details on it and send it to you." True to his word, Brock obtained the information and faxed it on to each 'Marcus' & Greer. Brock had learned to send separate copies to all decision-makers. On the copy of the price quote to Marcus on the Satellite Uplink Truck Brock wrote, "Do you want it?" 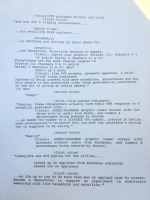 On the copy to Greer Brock refaxed the original proposal with a suggestion from Craig Reese, the Keystone Studio Technical Operating Center (TOC) on Sunset Blvd, where Clinton had been. It read, "For example: Fireside Chats, Whistlestops and Bus tours can be met by satellite trucks uplink connections, and support four cameras for the Bill Clinton Road Show. “He is not good with in-studio handlers and is great as his own host. He was at Keystone’s LA Studio earlier on ( An opinion of the studio manager there.) The original was scanned and in 2013 used for a presentation on PhoneVoter. Brock's handwritten text is very readable. Candidates from each political party had received materials specific to their political affiliation. Clinton and other Democrats were offered an All Democrats All the Time Channel to Bill Clinton to host. The PhoneVoter Program for Media Precinct Captains included a security chip to ensure the integrity of communications and payment on some features, for instance Home Box Office (HBO). Keystone could turn on or off 300,000 of such chips for a campaign. This made it possible to protect information from internal spies quickly and firmly. After Marcus and Greer began calling for advice, which Brock provided, Brock sent on the page obtained from Keystone with the information on the Satellite Up-Link Truck, the last available in the country. The signed contract was never returned. Brock learned around two weeks later from Melodee Baird Paul from Keystone HQ in Salt Lake City, in Charge of Global Technology Media and Events that same Satellite Uplink Truck had been rented. By late April Melodee had noticed Clinton's feed on satellite and realized the Clinton Campaign had gone behind their backs to rent the last available Satellite Uplink Truck. The behavior was outrageous and disgusting, unacceptable in their industry. They had stolen the consulting services, the show format concept, took Keystone's equipment and violated the trust of everyone involved. Brock had provided the means the Clinton's used to take the White House from soup to nuts. From tail between their legs they had gone to victory without a blink of the eye and the ethics they demonstrated were the most consistent thing about Bill and Hillary from then until today. The PhoneVoter program was intended to give Americans a voice in government and the Clintons, in collusion with the RNC and Haley Barbour, turned off access without a qualm. Marcus was Bill Clinton, had to have been, the voice was male so it could not have been Hillary directly.